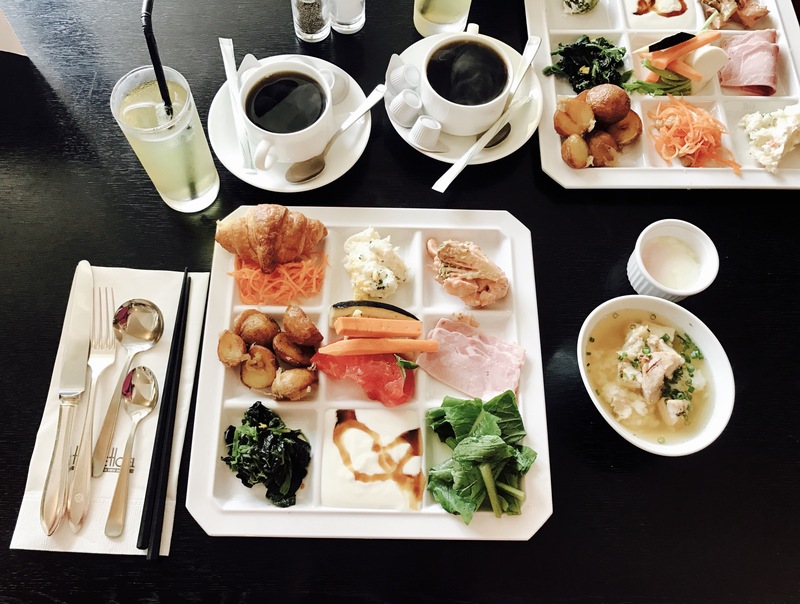 Waking up in Hakone, our first Shinkasen pitstop began with a four o’clock sunrise over Lake Ashi & a Japanese inspired breakfast. 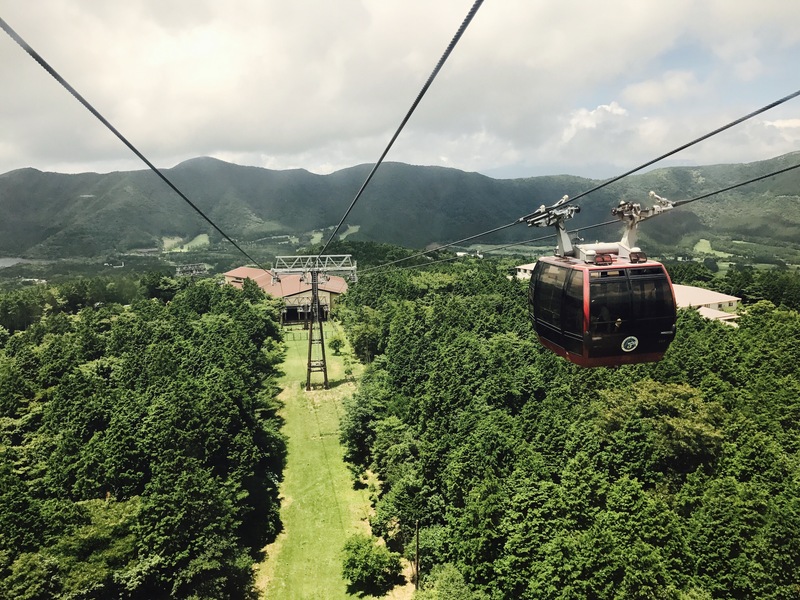 Staying at the Hakone Hotel on the bank of Lake Ashi, everything Hakone has to offer was just a walk, boat, or cable car ride away. Deciding first to catch the cruise around Ashi, we caught glimpses of the Hakone Shrine and Motohakone pier before hopping off for the Ropeway. 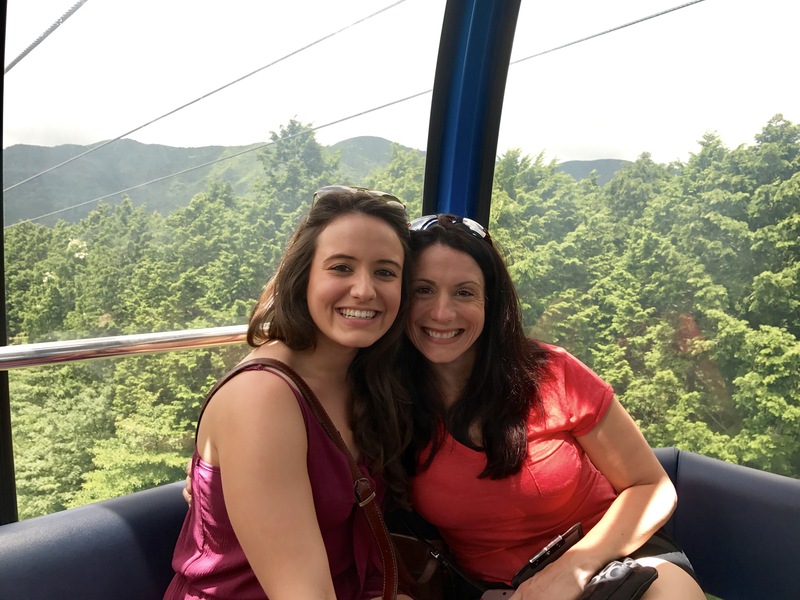 Journeying up the cable car, Hakone Ropeway offers the best views of Lake Ashi’s blue waters, the volcanic fumes of Owakudani, and once you reach the top, a spectacular view of Mount Fuji (if you’re lucky). Known as the shy mountain, Mt Fuji is only visible about a third of the year. Normally covered in the fog that Hakone’s mountains are known for, the trek to see Mt Fuji is a sight to see, but definitely a gamble. Checking out Owakudani’s legendary black hard-boiled eggs at a pitstop along the Ropeway, we learned all about their popularity and luck. A specialty egg boiled in the hot springs, eating one is said to add seven years to your life (if you can manage the smell & color). 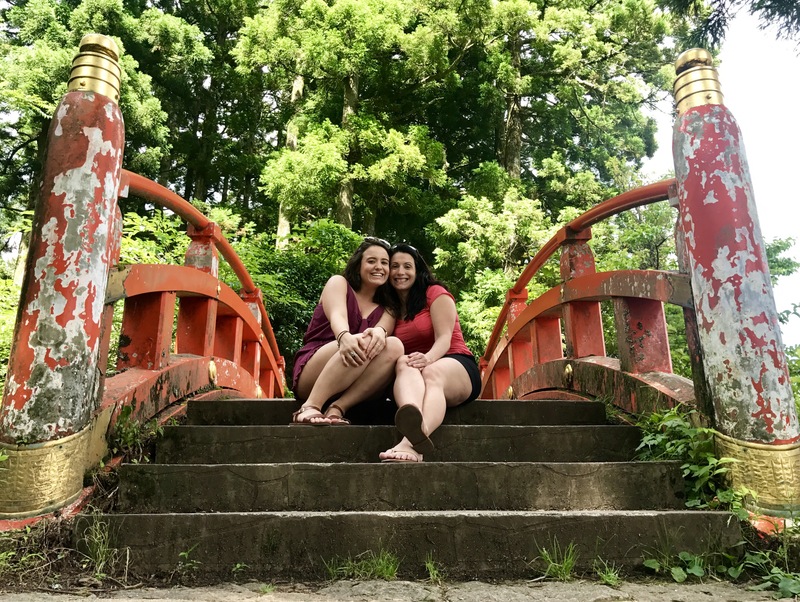 Cruising back to Motohakone and hiking to the Hakone Shrine we completed the day with Teppanyaki & conversations in a Japanese/English blur with another mother/daughter traveling duo. As we packed our bags and drove back to Odawara station the next morning, we said goodbye to Hakone and hopped on our train to Kyoto. After a coffee-less Shinkansen ride from Odawara, day one in Kyoto started with strolling over three miles of the city, grabbing coffee of course, and taste testing Kyoto’s incredibly bizarre market food. 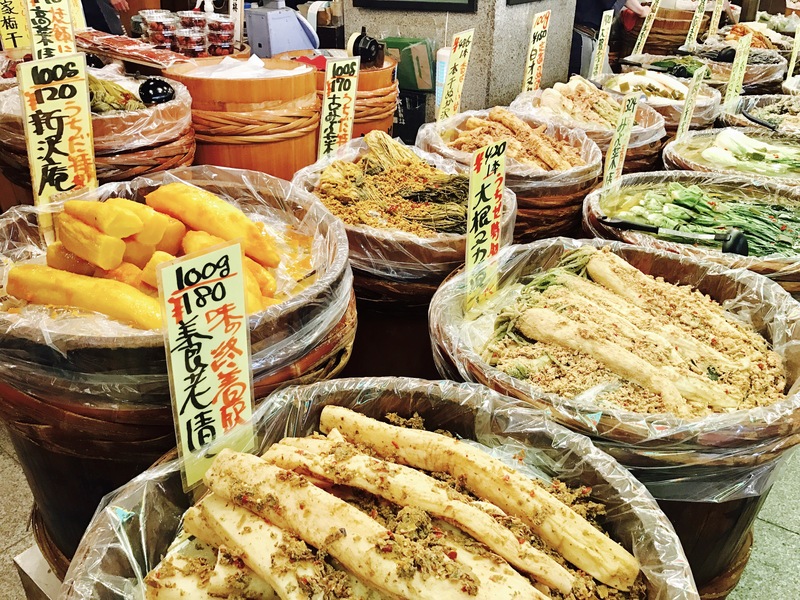 First exploring the Nishiki market, we were blown away by the hundreds of food stalls selling everything from matcha icecream, to crickets, to even little snack octopi on a stick (if that’s your kind of thing). 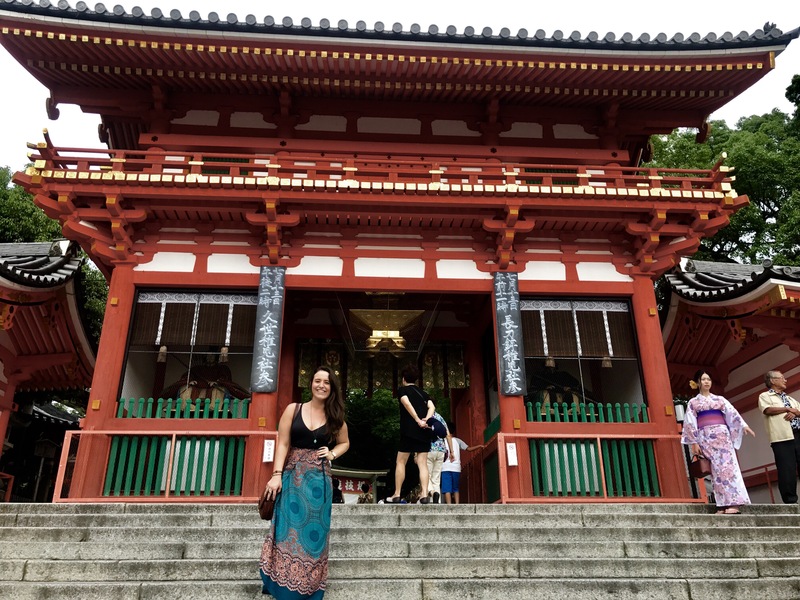 Walking straight out of the market and into the Nishiki-temmangu Shrine, we wandered around the maze of streets on the east side of Kyoto’s river, before crossing over to the Gion district. Passing by Awata-jinja and Yasaka shrines before losing ourselves in Gion’s winding roads, we spent hours in and out of dozens of Japanese toy, tea, and lantern shops before finally making our way towards the famous Kiyomizu-dera shrine. 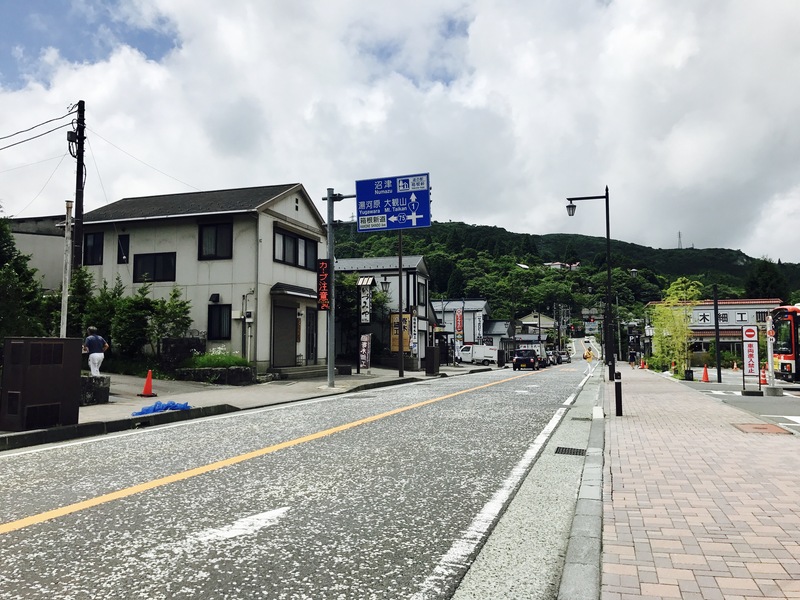 Walking along the picturesque streets of Ninenzaka and Matsubara, Kiyomizu-dera is definitely beautiful but also definitely a hike! For our last day in Japan, we decided to start with the famous vending machine ramen restaurant (& unfortunately a pit stop by the cat cafe across the street). Catching a train and then heading towards Nijo Castle, we caught of glimpse of the Kamigyo-ku district before jumping on the JR line towards the bamboo forest. 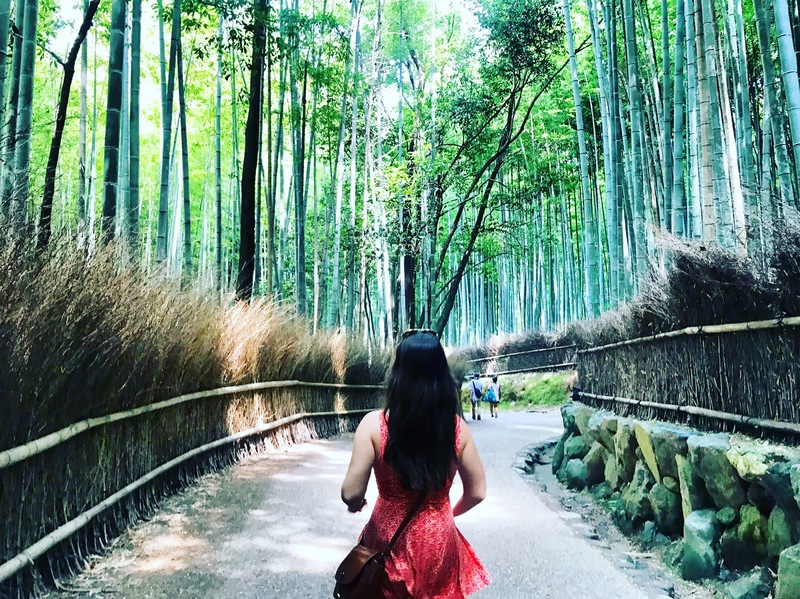 While quite a jaunt from central Kyoto, the iconic Arashiyama Bamboo Grove is one of the most beautiful places I’ve ever visited. 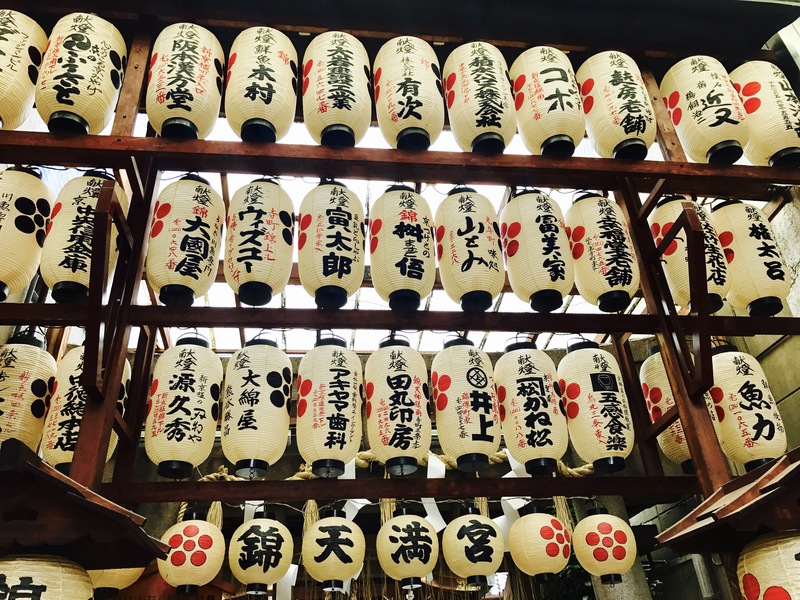 From the miles of pathways that are lined with skyscraper tall bamboo stalks, to the tiny village that surrounds the forest, Arashiyama is unlike anything else & a must see for any Kyoto itinerary. Training back to the Fushimi Inari Shrine as our last stop of the day, we finished our week through Japan with a sushi dinner before packing up for more adventures in Beijing. You have taken some great pictures. I especially like the one of all the tori–I have tried to take a picture like that to capture them the way my mind sees them–and I have never been satisfied. Your picture, taken from an angle I wouldn’t have thought of, is great. Also, your ramen picture is making me hungry.